A cutter comparison chart helps you choose the right vinyl cutter for sign making and heat press vinyl. Choosing your first vinyl cutter is one of the most important decisions an aspiring sign maker faces. A professional quality plotter can make your dreams realities. A bad equipment decision can lead to frustration and failure. The most common start-up sign shop mistake is buying based only on speed, force, and price. Ten years ago, that wasn’t a bad strategy. In the 21st century, you can buy a machine with 500 grams of force that can’t cut the mustard in a professional sign shop. So what are the criteria for making this important decision? What drive motor should your cutter have? How important is tracking? Do you need to contour-cut printed images? What other features do you need? What about tech support? To provide these and other answers, we humbly present this guide to choosing your first vinyl cutter. The engine of a vinyl cutter is its drive motor. The drive motor powers the grit roller that advances and retracts media and moves the blade across the platen. The two kinds of drive motors used are mechanical stepper motors and digital servo motors. As the name implies, a mechanical stepper motor moves in small increments or steps, driven by physical gears. It’s an old, familiar technology whose main advantage is economy. The downsides are mechanical, noise-which can sometimes be quite harsh- and loss of precision on small graphics. Large images can be cut accurately, but on characters smaller than a half-inch, the physical size of the gears prevents the machine from being able to plot the path smoothly. This causes jagged lines that look pixelated instead of smooth arcs. Stepper motors are more economical and allow manufacturers to produce usable vinyl cutters more affordably. Most entry-level plotters use this older, simpler mechanical drive system. 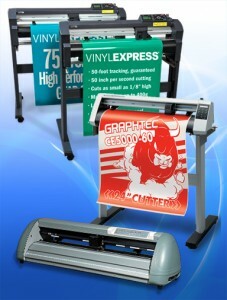 The Graphtec Silhouette Cameo craft cutter, and Vinyl EXPRESS R Series sign cutters use mechanical steppers. All other Vinyl EXPRESS cutters beginning with the EnduraCUT 2 use digital servo drive systems. In cutters driven by digital servo motors, a digital encoder translates the software’s commands into ones and zeros. The result is smooth, precise movement of the drive motor and cutting head. This offers three advantages. The lack of mechanical gears makes these machines much quieter in operation. More importantly, the digitally directed movement allows the cutter to turn and pivot along much smaller paths with precision. Letters as small as 1/8”* are cut just as precisely as larger characters. The other benefit of digital servo motors is superior tracking. Tracking is a cutter’s ability to maintain a straight path along the length of the vinyl. Digitally driven cutters typically achieve up to ten times better tracking than stepping cutters So digital servo cutters are a better choice for graphics both very large and very small. The drive motor isn’t the only element affecting tracking capabilities. The quality of the pinch roller assemblies, presence or absence of a floor stand, and features in the control panel all play a role. As noted above, tracking is critical for efficient production of medium and long graphics such as banners, pin-striping, and partial vehicle wraps. Inferior tracking leads to wasted time and wasted materials. To choose the right cutter, it’s imperative that you know what size graphics you’re going to produce. If your business plan is based on scrap book and hobby sized decals, a simple entry-level cutter may suffice. If your plans include graphics less than ten feet long, a basic desktop cutter like an R19 or R31 may be all you need. But if you intend to cut vehicle accent striping, partial wraps or anything else over 10 feet long, it would be wise to invest in a cutter with better media handling and tracking capabilities (Fig 1). If you look at manufacturers’ specification charts, you’ll see a value called “maximum cutting area”. Don’t confuse this with tracking. Here’s the difference between maximum cutting area and tracking, according to Graphtec product manager Neil Zdunkawicz. “Basically, the maximum cutting length means the cutter, whatever brand, will be able to move that length of media and it won’t skew or jam; however, the quoted accuracy and repeatability specs are not guaranteed if you do that. Review the table below for a quick comparison of the tracking capabilities of Vinyl EXPRESS, Roland and Graphtec plotters. Considering drive motors and tracking may be all the information you need to make a good decision. But if you’ve determined that you need a plotter that will accurately cut small fonts and consistently track in excess of 15 feet, you may still need to narrow the field a bit. Now what? There are other features found on cutting plotters that can greatly impact your productivity. To help you select your best 21st century cutter, here are a few more important criteria to consider. • Tangential emulation can be crucial for producing quality stencils for sandblasting monuments or HDU. In normal “drag and swivel” cutting modes, the blade follows the direction of the blade holder, swiveling and pivoting as it cuts. When cutting thicker materials, this can cause the blade to get bound in corners. This can damage the blade holder and produce incomplete cuts that are difficult to weed. Full tangential cutting lifts and rotates the blade at corners to prevent this, but slows production and causes an annoying problem called “vinyl ears”. Vinyl ears describes the corners of the vinyl beginning to lift as the graphic is cut. Tangential emulation intelligently orients blade direction — without the blade leaving the face of the media. So angled cuts are more precise, and intricate graphics in thick media are neat and easy to weed. This precision is achieved without any loss in speed or productivity. This advanced technology is available on the Vinyl EXPRESS Qe6000, Q Series, and Graphtec CE6000 and FC8000/FC8600 series cutting plotters (Fig 2). As digital printers become more commonplace in the sign and graphics industry, the demand for cutters that can turn printed images into contour-cut decals continues to grow. This is increasingly important for garment decorators who sell printed T-shirt transfers made with inkjet paper like EnduraTex DarkJet. The process requires advanced hardware that enables the plotter to optically detect printed registration marks (also known as crop marks) and align the origin of the cut job so that the blade’s path traces the contours of the printed image. The plotter should also be capable of accounting for skew so that the cut path aligns correctly over the printed contours even if the media is loaded in the cutter imperfectly. This feature is found on an increasing number of plotters ranging from the humble Silhouette Cameo to Pro Series products from Roland and Graphtec. Different manufacturers use different terms, but all of these technologies require the use of integrated and capable software. Make sure you get the complete package. Buying a cutter with ARMS but not getting the right software is like buying a high-powered sports car without a steering wheel. Click here to read more about the kind of software you’ll need for print and cut graphics. Here’s a quick summary of vinyl cutters that include this feature. ARMS* is standard equipment on the Vinyl Express Qe6000, Q42, Q54, and Q64, and is optional on the Q24, and Q30. All Graphtec cutters including the Silhouette Cameo scrap-book cutter, and the CE6000-40 desktop cutting plotter come with some level of contour-cutting. The CE and FC series cutters are equipped with Graphtec’s ARMS 5.0 firmware. ARMS 5.0 reduces the amount of excess vinyl needed around the printed image and speeds up the process of reading the registration marks. Roland Stika hobby cutters have a manual crop mark sensor and Roland’s Camm-1 and GX Pro cutters now come with registration mark sensors. The CAMM-1 GX24 firmware only supports three crop marks with a maximum distance from front to back of 24″. So, to ensure correct print and cut alignment, keep your image files small. Don’t send a three-foot long batch of prints to be contour-cut. This cutter works best when contour-cutting small format images like T-shirt transfers. 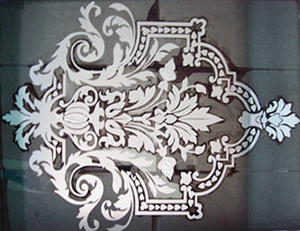 Fig 3: Advanced Cutters like the VE Q series and Graphtec FC8600 machines can produce pop-out decals using a version of ARMS. The ability to both cut and perforate vinyl can win lucrative jobs for decal production. This is a two step process requiring a cutter that can perform a traditional “kiss cut” (cutting only through the face film) followed by cutting all the way through the face film, adhesive and liner; all without damaging the platen. This 21st century function requires a specially engineered platen and tool holder. These features are found on the Vinyl EXPRESS Q Series and Graphtec FC8000 cutters. Please click here for more details on how to create “perf cut” decals (Fig 3). Some plotters have built-in media sensors that detect the surface of the loaded film. They can also control the force with which the blade contacts the vinyl. This combination of precise controls can give your blade the precision of a hand held art knife. These abilities are known as Smart Blade Landing in the Vinyl EXPRESS Qe6000 and Q Series. The Graphtec CE6000 cutting plotters and FC8600 series call this feature “tool soft landing intelligence”. This level of mechanical finesse is indispensable when cutting sensitive materials like window tint film. Because it limits wasted vertical motion of the tool holder, it also speeds throughput and prolongs the service life of the plotter. The ability to automatically advance a user-determined amount of media can save lots of time and money. This feature, known as auto pre-feed or “area”, is normally found in the control panels of intermediate and advanced vinyl cutters. The user can enter the amount of vinyl desired so that, before the cutter begins a job, it feeds forward the specified amount of vinyl. Then retracts it back toward the roll. This process not only enables users to make sure the media is loaded correctly, but also places subtle grooves in the face film. These become subtle tracks that guide the pinch rollers as the cut job is processed. This increases the cutter’s tracking capabilities. It also pulls slack from the roll of media so that the plotter isn’t working against the weight and inertia of the roll. Cutting from a roll with no slack can produce stress on the drive mechanism and cause errors that interrupt production and damage the machine. If your cutter doesn’t have a pre-feed function in the menu, you’ll have to remember to do this by hand before sending each cut job. Auto pre-feed is found in the VE Qe6000, Q Series, Graphtec CE6000, and FC8000/FC8600 cutters. It is known as the “area” function on Roland GX-24 and GX-Pro cutters. Adjustable pinch rollers allow you to moderate the amount of pressure applied to media. Optimizing pressure enhances tracking on thicker materials like PVC sand blast stencil. Both the Q Series and FC8000/8600 have adjustable pinch rollers. A media cut-off feature allows you to begin each job with a clean straight edge, reducing material waste. It also reduces the risk of damage to the platen caused by taking a blade to the front of your plotter. This nifty function is found in Vinyl EXPRESS Q Series, Graphtec FC 8000/FC8600, and Roland GX Pro vinyl cutters. Warranty coverage. In a perfect world there would be no warranties needed. But ice cream is still fattening, we still have rainy days and Mondays, and vinyl cutters occasionally malfunction. That’s why all of our cutters come with warranty coverage ranging from six months to three years depending on the model. You can generally find the basic warranty listed at the bottom of a specifications chart. However, if you purchase a starter package from SignWarehouse, part of the increased value of opting for package level two or higher is an extra year of warranty coverage. The final consideration when choosing a vinyl cutter isn’t a feature on the equipment, it’s a feature of the vendor from whom you purchase it. Like good tracking and precise cutting, it can be critical to the efficient operation of your fledgling sign and graphics business. Choose a supplier who is ready, willing, and able to provide the technical support you’ll need as you negotiate the learning curve. SignWarehouse maintains the largest tech support staff of any reseller in the industry providing outstanding support six days a week for our legions of customers. Because we understand that one size doesn’t fit all, we offer a variety of Premium Support Plans ranging from 30 days to over a year, depending on customer preference. And every SignWarehouse customer receives free lifetime support via email, and access to the Tech Support Blog. Click here to view the array of options we offer. Choosing your first vinyl cutter is a critically important decision. Even choosing your second or third should be done with thoughtful consideration of your needs and goals. Look beyond speed, force, and price. Determine how intricate and how long your graphics will be. Think about whether you need to manage very thin or very thick media. Consider the possible need to contour cut printed images or produce perforated decals. And of course, weigh the importance of tech support and get the amount you think you’ll need to keep it all running smoothly. The more you understand your immediate and future needs, the more ready you will be to choose the best vinyl cutter to help you meet the challenges of 21st century sign making. From entry level vinyl cutters to professional large production sign vinyl cutters at incredible prices with outstanding support, SignWarehouse features Roland, Graphtec, Vinyl Express, Q, Qe, R Series, and EnduraCUT brands. Compare vinyl sign cutters by size, downforce and specifications so you make the right choice!